When you gotta go, you gotta go. But when you see these wow-worthy washrooms, you’re going to want to stay – and take some photos while you’re there. Here are the six most Instagrammable restaurant restrooms. 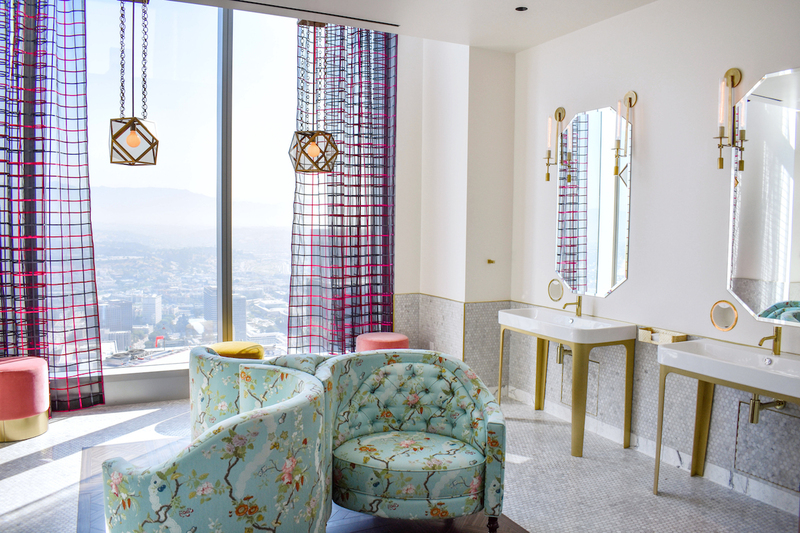 Located 71 stories up, the bathroom’s floor-to-ceiling windows offer a breathtaking view of the City of Angels. The women’s powder room is kitted out in a Marie Antoinette theme. If you were to pop over to the men’s room, you’d find a cowboy vibe. Make a reservation at La Boucherie on 71. You’ll feel like you’re on a fantasy island. 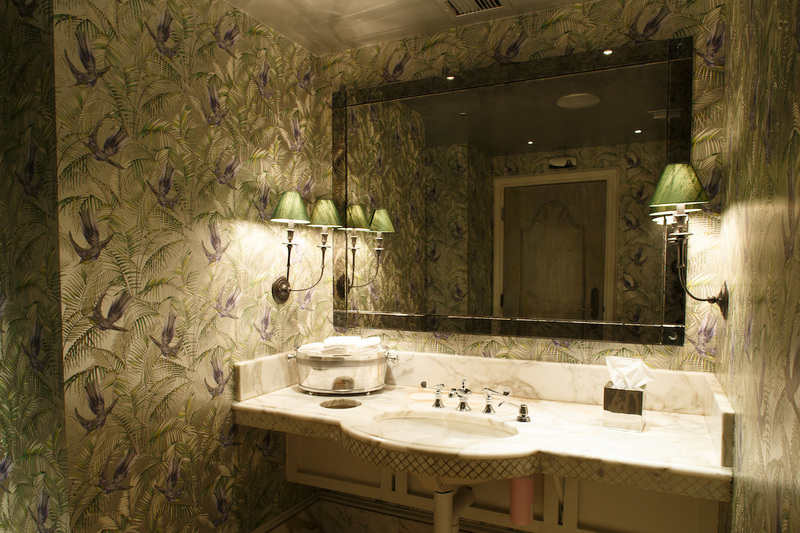 The walls here give off a delicate metallic glimmer, thanks to the tropical-minded palm and bird wallpaper. Step into the stalls to find glowing frames containing jaw-droppingly gorgeous butterflies seemingly captured mid-flight. Make a reservation at Bar Vasquez. They took a ballsy approach to the design. 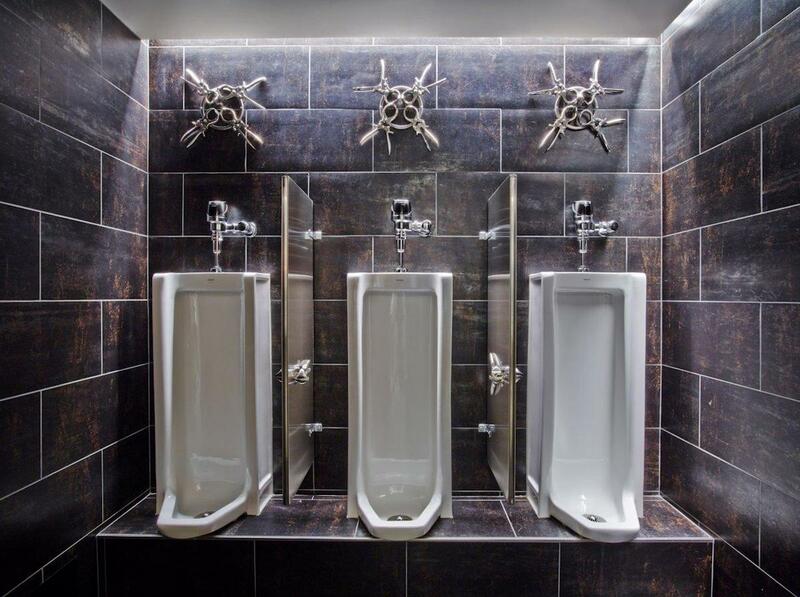 A quartet of bull castrators is arrayed above each urinal. Warning: staring at them too long and thinking about what they’re capable of doing may cause shrinkage. Make a reservation at Farmers Fishers Bakers. 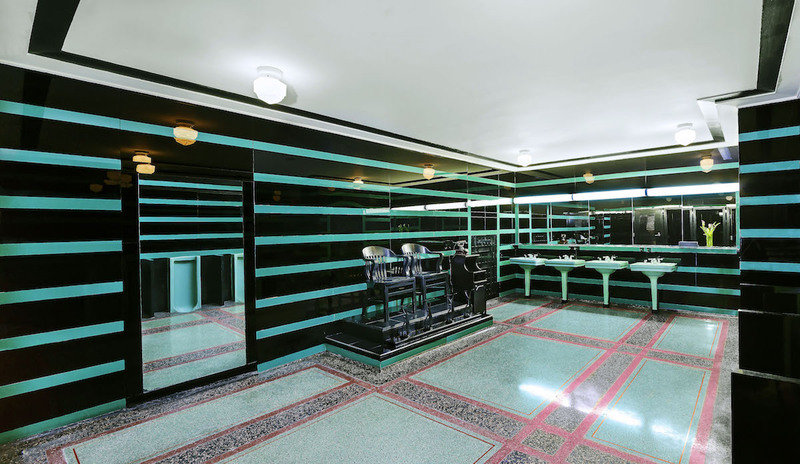 Built in 1910, this art-deco bathroom is a beaut. The space is decked out with lime-green light fixtures, terrazzo floor, and a shoeshine station. If it looks familiar, you may have seen it on a recent segment on The Today Show. Make a reservation at Capitol Grille. Writers, artists, and amateur graffitists love this lavatory. 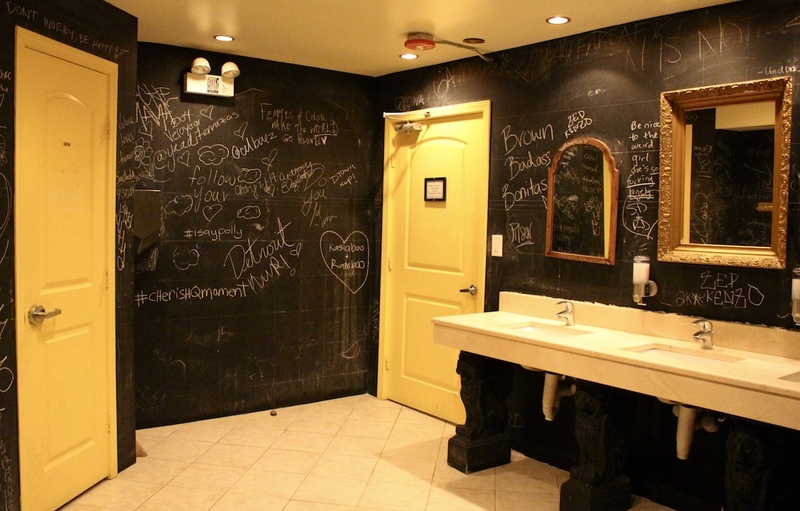 The walls are covered in chalkboard, so anyone can add their two cents or a doodle. Be as creative as you want; your fellow guests will appreciate your efforts. Make a reservation at Dusek’s. You’ll feel like you’re inside one of Yayoi Kusama’s mind-bending Infinity Mirror Rooms when you visit this WC. 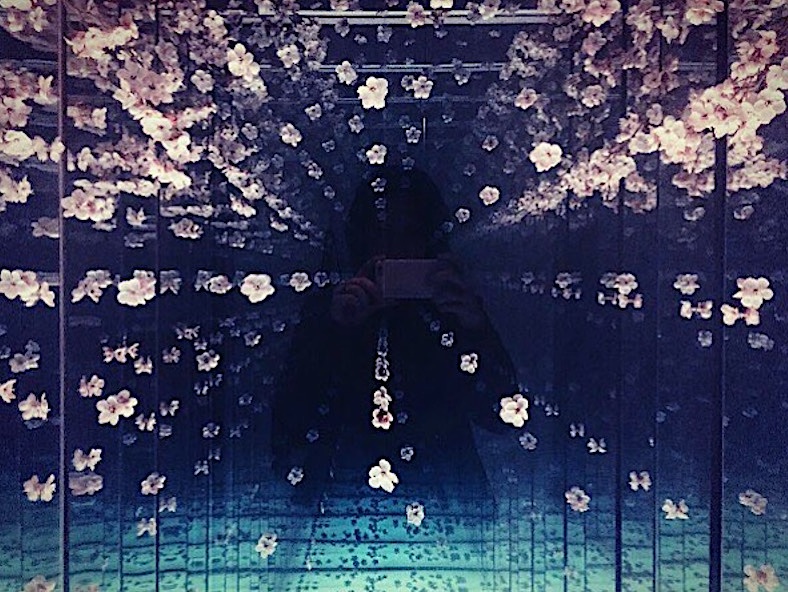 Peer into the mirrors and you’ll see cherry blossoms extending forever in every direction. The Japanese toilets themselves are equally fascinating, decked out with a deodorizing function, bidets, and massage features. Make a reservation at Morimoto. When you go to freshen up the next time you’re dining out, let us know your picks for the most Instagrammable restaurant restrooms here or over on Facebook, G+, Instagram, Pinterest, or Twitter. And, remember to snap + share your #dishpics with us on Instagram for a chance to win in our weekly giveaway. Those are nice but the bathroom at Sketch in London for sure should there, the bathroom at the Baccarat museum in Paris should be there and the Women’s bathroom in the French department store Print Temps should be there too.